With the option of sea of musicians in the entire world to write about, I did not have any doubt whom I was going to write about: Anna Jantar. However, I had hard time to choose a song as an example among 140 songs which she recorded - only one of which I do not really like. Anna Jantar is very popular in Poland. She was also very popular in Germany in 70s. In the second half of the 70s she started being popular in entire Europe, later with this growing popularity she started performing in Northern America as well. In the mid 70s, the song "So Much Sun in the Entire City" was sang by entire Polish nation and today it is classified as "evergreen" song in Poland. Her popularity did not end with her death and still continues so far in two generations of Poles. Anna’s songs are still ranking in top 10 in popular song from 70s polls and competitions. Annual song festival, established in 2005 "Pejzaz bez Ciebie" dedicated for singers who are already passed away but still very popular, dedicated the 2007 festival for Anna Jantar. Just recently, in 2008, Anna’s song won the first place in the competition for the best hit of 70s which is organized by the first national Polish radio channel, "Polish Radio I". In addition, since 2005 "Anna Jantar International Festival" has been continuing in Wrzesnia, Poland where young people between 14-30 years old compete for Grand Prix of Anna Jantar title. I want to introduce Anna not only because of her variety of songs but also due to her poetic song lyrics with plenty of metaphors about life, her interpretation of the songs and her pleasant voice that many listeners find so much inspiration and happiness in everyday life. I would also like to mention that, in 1974 after 9th Cisco74 International Song Competition in Castelbar, Ireland, one of the jury members, British compositor Les Reed - creator of some of the hits of Tom Jones and Engelbert Humperdincka – had a comment in Irish Independent: "Until now I’ve known only two singers of that clear voice and that expression: Vici Leandres and Nana Muscouri. Here, in Castlebar I met third one, Polish, Anna Jantar". In an international poll by the "Panorama" magazine in the most famous Poles from 70s, her name was at the second place on the list after John Paul II. This also makes her the most famous Polish singer outside Poland. In 1994 the book "Wspomnienia o Annie Jantar…Slonca Jakby Mniej" (Memories of Anna Jantar …Somehow There is Less Sun) was published by author Mariola Pryzwan. This was the first biography of Anna Jantar. It became widely popular in Poland and in 2000 the 3rd edition of this book was published. In 2005 her daughter, also singer, released another CD of Anna Jantar songs "Po Tamtej Stronie" (eng: On the Other Side) with few never released songs of Anna. This CD received 4th place in best seller in Poland. In 2008 there will be another book going to be released written by priest, Andrzej Witko. This new book is written in the form of a dialog with Anna Jantar. Anna Jantar has a lot of fans and fan clubs to this day, and lots of their fans listen to her and talk/chat about her every day. Anna Maria Szmeterling (stage name Anna Jantar; also known well as "Amber" or "Sunny Girl") was born on June 10, 1950 in Poznan, Poland. She is part Polish and part Hungarian. Her grandmother immigrated to Poland from Hungary. At the age of four she started attending music kindergarten in National Higher Music School in Poznan. During this period of her education her music teachers noticed that Anna had superior music abilities. Anna started National Music School and at the age of 10 performed at Poznan Philharmonic. Among secondary and high school students Ania won a piano playing contest. Later she tried her vocal abilities and debuted as an amateur singer at age 14 since she did not believe she could become a good pianist. Anna also wanted to become an actress and passed her exams for the acting school in Warsaw. However, lack of points for worker-farmer social class stopped her from her dreams come true. Therefore, she decided to continue singing; debuted as an amateur singer in Poznan student clubs "Nurt" and "Od Nowa" singing poetry written by famous Polish poets. At Student Song Festival in Krakow in 1968 Anna got honorary award for singing "A Lipiec Gral" (eng: July Was Playing). At December the same year she debuted with song in Poznan Radio studios "Po Ten Kwiat Czerwony" (eng: For This Red Flower) with group Polne Kwiaty. Leader of this group, Andrzej Kosmala, actually proposed her to record that song together. One year later, Anna got another recognition for her interpretation of "Laka Bez Kwiatow" (eng: Meadow without Flowers) on Artistic Festival of Academic Youth in Swinoujscie, Poland. In 1969 Anna joined Polish big-beat group "Waganci" during her time with them, she recorded the single "Co Ja w Tobie Widzialam" (eng: What Have I Seen in You) which became the song of the year for 1970 and together with this hit song Anna’s popularity started. The song got first place in all hit lists in Poland. In 1971 she married one of the "Waganci" musicians, a famous composer Jaroslaw Kukulski. He composed many of Anna Jantar’s songs and he had been managing her artistic performances throughout her career since their marriage. Anna and Jaroslaw moved to Warsaw since the capital of Poland had the best artistic opportunities. In 1972 she passed the exam created and mandated by Ministry of Culture and Art and became a professional singer. From this moment on, Anna decided to leave "Waganci" group and started her solo performance career under her stage name - Anna Jantar. A year later, she debuted in Polish Song Festival in Opole with her song "Najtrudniejszy Pierwszy Krok" (eng: The First Step the Hardest) which also became the song of the year 1973. Then came successes outside of Poland and in 1974 Anna Jantar received 3rd place among 32 singers from around the world in 9th International Song Competition "Cisco74" in Castelbar, Ireland for her song "Tak Wiele Jest Radosci" (eng: There is so Much Happiness). Just in the same year she got honorary at the festival in Lublana, former Yugoslavia (today Slovenia), for "Czas Jest Zlotem" (eng: Time is Golden); and 3rd place in "Coupe de’Europe" in Villach, Austria. Also, in 1974 Anna started recording songs in German that becomes very popular in Germany. After her performance in Polish Song Festival in Opole in 1974 singing "Tyle Slonca w Calym Miescie" (eng: So Much Sun in The Entire City), this song became the song of the year for both 1974 and 1975 in Poland. In 1974, the same song also became the hit of International Sopot Festival; later recorded by other singers such as Hana Zagorova (former Czechoslovakia), Betty Dorsey or and Gerd Michaelis Chor from East Germany. In 1975 in Sopot International Song Festival Anna received 2nd place for vocal performance of her song "Staruszek Swiat" (eng: The Elderly World). In addition, in the same festival, she received 2 more awards for: listener’s choice, hit of the festival 75, and editor’s award from "Glos Wybrzeza" for song "Tyle Slonca w Calym Miescie". In this year Anna also got another award, in Germany; she got 2nd place for her song "Niech Ziemia Tonie w Kwiatach" (Eng. Let the Earth Drown in the Flowers) in Dresden, East Germany. In addition, she became the singer of the year for 1975 by music critiques of Poland. Also, in the same year, Anna was touring with other Polish singer Slawa Przybylska and Canadian singer Diane Marschal through Canada. Than came time for awards for her long plays. Therefore, Anna was awarded in Sopot International Song Festival in 1976 for her first long play released in 1974 "Tyle Slonca w Calym Miescie", which received golden status. When Anna delivered a baby in 1976 she decided to make a break from her career for one year; however, not completely. Therefore, in 1976, her second long play "Za Kazdy Usmiech" (eng: For Every Smile) received gold status as well as top seller long play; song title receives 2nd place in category "Song of the Year" in Poland and the singer got 2nd place in the best singers’ category. She released another album in 1977 "Zawsze Gdzies Czeka Ktos" (eng: Always Someone Waits Somewhere) which from all her long plays recorded this one did not get golden status. During 1978 Anna was very often touring with Vaclav Neckar throughout Europe. At the end of 70s Anna did not liked what she has done so far and felt that she need to change something in her style of singing. From now on until her death, Anna was looking for something new, experimenting. She started recording her songs with rock groups such as Budka Suflera and Perfect, singing in duets, trying other styles. Some music critiques did not like the experimenting of Anna saying that this style should not be singed by a pop singer. However, while experimenting in different music styles her popularity did not diminish. And in 1979 Anna received 2nd place in Helsinki, Finland at Interstudio Festival for her song "Tylko Mnie Popros Do Tanca" (eng: Only Invite Me for Dance) and got recognition from Finland’s music critics and public. Also in 1979 her song "Moje Jedyne Marzenie" (eng: My Only Dream) was at the first place in music charts in both Berlin and Warsaw. The same year, she received the title of "The singer of the 1979" and her song "Nic Nie Moze Wiecznie Trwac" (eng: Nothing Can Last Forever) became the song of the year 1979. Many songs of Anna Jantar got status of "songs of the month or season" in Poland; for example, "Zeby Szczesliwym Byc" 74’; "Slonce za Mna Chodzi"; "Moj, Tylko Moj" song of the summer ‘75. "Kto Umie Tesknic" 77’; "Tylko Mnie Popros do Tanca" 78’; "Tak Dobrze Mi w Bialym" 79’ as well as "Pozwolil Nam Los" got 1st place in radio hit list. Outside Poland, Anna’s songs in 1979 were ranking in top lactations on the hit list in countries such as Hungary, Finland, Bulgaria, Soviet Union or Germany. Between 1975 -1980 Anna regularly had performed over seas in the USA and Canada. For example, Anna was invited by an American manager B. Vinton for his TV Show in Florida. Some sources are mentioning that Anna also was invited to perform in San Francisco. Canadian agency "Lewan Show" proposed through Pagart to promote Anna in the USA and Canada. However, these proposals never materialized. Anna died in plane crash close to Warsaw Airport on March 14th, 1980 coming back from tour in the USA. According to the media, approximately 40,000 people came for her funeral on March 25 in Warsaw. Anna Jantar’s fourth and last long play was released few months after her death in 1980, which also got soon golden status. And it was not last one record of Anna Jantar which received golden status. At the end of 1980 "Polish Records" agency released another long play collecting hits songs of Anna’s called "The Best of Anna Jantar" which also received golden status. In 1982 Anna’s song "Do Zony Wroc" (eng: Come Back to Your Wife) with which she was supposed to present Poland in Tokyo, Japan, got the first place on the radio hit list in Poland. Since 1984 at Polish Song Festival in Opole, the title for the best debutant award is named "Anna Jantar Award". Her songs were recorder and singed by Betty Dorsey, Goldie Ens, Glenn Weston, Richard Huet, horst Kruger or Gerda’s Michaelis choir. Anna’s music still inspires many of other Polish singers today such as Polish singers Magda Durecka, Eleni, Monika Borys. Some Polish singers dedicated songs for her memory; for example; Budka Suflera recorded song for Anna "Slonca Jakby Mniej" (eng: Somehow There is Less of the Sun; Halina Frackowiak recorded "Anna Juz Nie Mieszka Tu" (eng: Anna Does Not Live Here Anymore). Anna, on the other hand, was inspired by Gloria Gaynor and Roberta Flack, Diana Ross and Dinah Washington, and the most by Arleta Franklin. With Gloria Gaynor and Roberta Flack Anna had an occasion met in person in the USA. The majority of her songs were in pop style, and later she started recording in rock style at the end of 70s. However, her songs were also some fusion of soul, jazz, swing, rock’n’roll, country, disco and waltz. For example, her song "Kto Wymyslil Nasza Milosc" (eng: Who Created Our Love) is a soul song, "Koncert Na Deszcz I Wiatr" (eng: Concert for Rain and Wind) is jazz, or her song "When You Said Yes" is a swing song with "Bedzie Dosc" (eng: It will be Enough) in rock’n’roll style. This is the first long play recorded by Anna Jantar which became the best seller in Poland in 1975. As music critiques pointed out, this album is one of the most interesting and best recorded long plays in Polish phonograph until 1974. The long play includes the first song which brought the recognition of Anna Jantar’s name in Poland. Album includes multiple styles such as songs from pop and jazz style. Second long play recorded by Anna Jantar which also got golden status just in few months from release. For this occasion singer prepared special program to celebrate this victory. Second song in the album, "Dzien Nadziei" (eng: Hope Day), was forbidden for a while in the media by Communist Government due to its lyrics being too optimistic. Record includes songs such as, "Za Kazdy Usmiech" and "Staruszek Swiat" recorded in waltz rhythm and "Bedzie Dosc" in rock’n’ roll style. This album also includes a song that got 3rd place in Castelbar, Ireland in the international song competition called "Cisco 74". This long play includes songs that were recorded with other Polish singers and groups such as Andrzej Thenard, vocal group Alibabki, and group GEM. Album also contains multiply songs styles such as jazz style song: "Koncert na Deszcz i Wiatr" (eng: Concert for Rain and Wind), disco, and soul styles. Album includes song "Kto Powie Nam" (eng: Who Will Tell Us) that was recorded for known Polish movie "Nie Zaznasz Spokoju". This is the only long play that did not make to the golden status recorded by artist. However, title song "Zawsze Gdzies Czeka Ktos" become one of the greatest hits of Anna Jantar. This is the last long play recorded by Anna Jantar during her singing career. This album is different from all previous ones. Anna changed her singing style from pop to the rock style. During preparation for this long play, Anna started singing with rock groups and tried new elements that we can hear in her songs. Her singing is more mature and she even has a better interpretation and personification of her songs. One of the songs on this record "Nic Nie Moze Wiecznie Trwac" includes elements from the early techno music. Moreover, this is the first long play that includes an English song. This album also got golden status. "Just Invite me to Dance"
You, who do not count the days in a year, do you know? Do you know? What is the fear at the end of the day? From hell to heaven’s gates. From the rosary hope I will give you forgiveness. While the day is still young. Before my time will come. From the rosary’s hope I will give you forgiveness. Song is in 6/8 meter time; in medium tempo (andante); recorded in Spanish waltz style; melody-complex with rhythm change; melody thick with a lot of instruments; instruments included are: piano, flute, saxophone, trumpet, trombone. Anna Jantar has taken keen part in the astudents' cabaret movement throught her career. Having graduated from the State School of Music where she studied piano, she entered into close collaboration with the "Nurt" Students' Theatre in Poznań, initially as a pianist and next as a singer. Being still unknow to the general public, Anna Jantar made her debut appearance at the Students' Song Festiwal in Kraków in 1968. The distinguishing award which she got there began her great career. A year later ahe appeared at the FAMA - 69 Festival where she got the prize for interpretation thus providing to have a real talent. Soon afterwards Anna Jantar joined the "Waganci" group to perform with them for the next two years. At the same time she recorded several songs for the Polish Radio, the greatest hit being "Co ja w tobie widziałam" (What Was So Attractive About You). Along with the "Waganci" group she took part in the festivals in Opole and Kołobrzeg, appeared in TV youth programmes and in a full of music film comedy "Milion za Laurę". The Polskie Nagrania recording company released her two singles which contributed much to her popularity. Since 1972 Anna Jantar has been performing as a soloist. Her songs are more and more popular. The great hit "Najtrudniejszy pierwszy krok" (It's Most Difficult To Make the First Move) topped the Polish songs'list in the summer of 1973. Anna Jantar is often invited to perform and record abroad. She makes succesful appearances in the Soviet Union, Czechoslovakia, Bulgaria, and Yougoslavia. During her tour of German Democratic Republic she made several recordings for the Berlin radio and appeared on TV. In 1974 ger first longplay was released. This year the singer has appeared at song festivals in Opole, Ljubljana, and Kołobrzeg. At the festival in Kołobrzeg she won the Polskie Nagrania recording company award and was chosen Miss Photo, in autumn 1974 she was awarded the 3rd Prize in the "Pop"category at the International Song Festival in Castlebar (Ireland). It would be wise to mention that most of the hits of Anna Jantar have been composed by Jarosław Kukulski to whom she is married. Anna Jantar has made her debut at the Student's Song Festival in Cracow. The prize then received became a milestone in her career. A year later the sang at the FAMA 69 Festival where her talent won her another award for the best rendering of a song. During the two years that followed the songstress was performing with the popular WAGANCI (The Goliards) group and recorded several songs for Polish Radio including the hit "What had I seen in you". Together with her group she took part in song festivals in Opole and Kołobrzeg and then in popular TV programmes. She was also starring in the musical "Million for Laura" and recorded two records for "Polskie Nagrania". Since 1972 she has been performing as soloist. The song she sings enjoy great popularity and the one titled "Najtrudniejszy pierwszy krok" (The first step is the most difficult one to make) was voted a 1973 song of the year in Poland. Other hits such as "Tyle słońca w całym mieście" (So much sunshine all over the town), "Żeby szczęśliwym być" (To be happy), "Dzień bez happy endu" (Day without happy ending) and "Staruszek świat" (The oldster - the world) have brought her fame as one of the most popular Polish woman singers. She has given performances in the USSR, Czechoslovakia, GDR, Bulgaria and Yougoslavia and has taken part in international festivals in Yougoslavia, Bulgaria, Austria, Canada, GDR and Ireland. At the 1974 Song Festival in Kołobrzeg press photographers elected her "Miss of the Lens". That year she recorded her first longplay "Tyle słońca w całym mieście" (So much sunshine all over the town) which earned her a 1976 Golden Record award. The official presentation of the award demonstrating her great popularity will be held in Sopot on August 24th during the International Song Festival held at the resorts. In Spring 1976 Anne recorded her second longplay "Za każdy uśmiech" (For each smile) which features several new songs next to the well known hits. Having completed Music High School in a piano class, Anna Jantar worked with student theatre "Nurt" in Poznań, first as a pianist then a singer. Cracow Student Song Festival in 1968 brought her popularity all over the country. Next year she appeared at Fama - 69 student festival, winning the first prize for indterpretation. For two years she joins the "Waganci" group, at the same time recording for the Polish Radio. One of her songs, "What did I see in You", became a top hit. She appears at Opole and Kołobrzed festivals and in numerous TV programmes broadcasted for young people. Her first two singles are then recorded by Polskie Nagrania. Since 1972 she has been appearing solo and many of her songs proved hits. Her greatest hit was a song entitled "The First Step is the Most Difficult One" - top Polish hit in 1973. she is also well known abroad. She toured the USRR, Czechoslovakia, Bulgaria, Yougoslavia and the GRD, where she made recordings for Berlin Radio and TV. In 1974 Anna Jantar recorded her first LP called "So Much Sun All Over the Town", and appeared at Opole and Kołobrzeg festivals in Poland, as well as at Ljubljana, Castlebar/ Ireland/ and Villach /Austria/ winning main prizes. 1975 was no less succesful - Anna was awarded 2nd Prize and the Audience Award at International Song Festival in Sopot and a Prize at Dresden Schlagerfestival. Her latest LP: Muza SXL 1089 "Tyle słońca w całym mieście". A memorial mass for Anna Jantar, the famous Polish singer who died in the tragic air crash in Poland, will be held by her friends and admires at. St. Stanislans B.M. Church at 101 East 7th Street in Manhattan. Msgr. John J. Karpiński, Pastor and President of the Polish American Imigration Committee, will preside at the services, arranged by Kip Markocki, head of the Bronx Pulaski Parade Committee. Markocki met Miss Jantar during her recent tour of the United States. The singer had been returning home folowing a successful concert tour here. The Mass will be offered this Saturday at 8 a.m., sponsored by Markocki and Maryla Dworakowska who also met Miss Jantar, and served as Miss Polonia of the Bronx. Sympathy cards can be matied to Art - Pol, 181G Brodway, N.Y., 10021, care of Mr. Marzec; or to Poland at this adress: Pagart - Warsaw, Ul. Plac Zwycięstwa Nr 9, Warszawa, Polska, Re: Anna Jantar, Warsaw, Poland. The tragic crash is being investigated by a variety of government agencles to determine it's cause. The accident came at a time when the Polish airlane had been establishing ine of the best safety records in the world durig it's 50th anniversary. 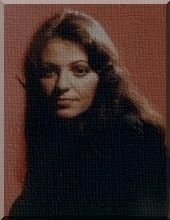 Anna Jantar was well known throught the metropolitan New York area and starred at the Skyline Lounge in Elizabeth, N.Y. Owner Edward Hausner was one of Miss Jantar's biggest promoters and erged scores of organizations and clubs to book her because of her exciting perfomances. Hausner, like most Poles who knew Miss Jantar, was stunned by her death. He had planned to have her appear again at his night club the next time she planned to visit the United States. Miss Jantar was also one of Poland's most popular recording artists and her albums were on top of the list of foreign record shops. Many of the Polish radio programs dedicated their shows to Anna Jantar and played her records. Altought she is dead, Anna Jantar will always live as one of Poland's most popular artists through her many records. WHAT A SHOW. Walt Demkowicz of Linden, and friend enjoying the show at the Zodiak last weekend. Especially enjoying the singing of their personal friend, Anna Jantar who had to keep coming back, encore after encore, in her final weekend at the popular club in Clifton, N.J.